Good evening, everyone! This post comes to you live from the Rangers/Blue Jays game where the Rangers trail 2-1 going into the bottom of the 7th. Since I am on my phone, I don't have easy access to my Managers/Players list. We will update it later or you can check for yourself. Since starting this post, the Rangers scored a run to tie! I'll post pics later, too! Sweet. 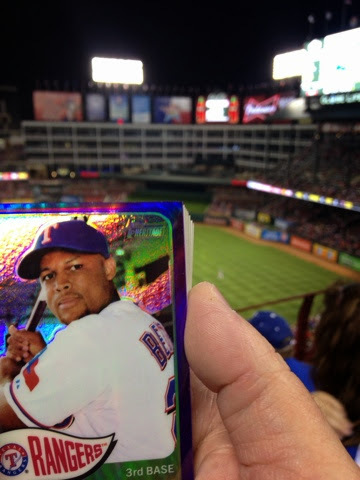 Beltre. Sorry you didn't see the Rangers at their best. Unfortunately they are in quite a funk lately. That's okay, we always fun at the ballpark!